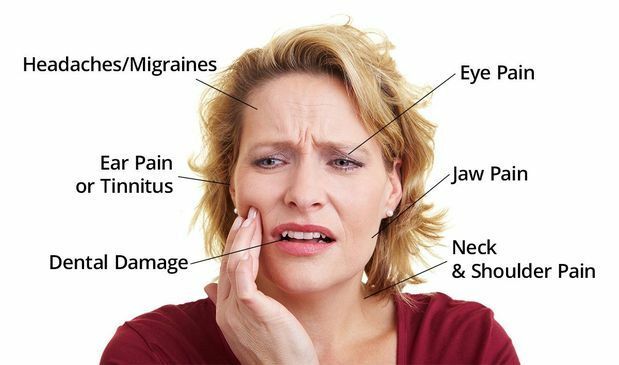 TMJ disorder can greatly impact your quality of life, causing you to experience a variety of symptoms. These may include chronic headaches, jaw pain, and pain radiating across the neck and back. Drs. Paul E. Brown, Christopher S. Baran, and Mark B. Brown of Brown and Baran Family Dentistry are highly experienced practitioners who offer effective TMJ treatment at our Seaford and Wilmington locations. We will begin with a thorough diagnostic exam to uncover the cause of your TMD, then we will create a unique treatment plan. Oral splints are the most common treatment for TMD, but restorative dentistry may also play a key role. Your temporomandibular joints, or TMJs, are located on either side of the jaw. These joints come under a great deal of daily pressure because you use them every time your chew or speak. You also make hundreds of unconscious jaw movements every day. Although the TMJs are very strong, this constant pressure may cause significant damage. For example, the soft disc that cushions the inside of the joint can slip out of place. Alternatively, you could develop inflammation in nearby muscles and ligaments. We want to help alleviate the painful and uncomfortable symptoms of your TMJ, restoring full oral function and a high quality of life. In addition to daily use, there are several other factors that can increase the wear and tear on the TMJs. Bruxism is one of the most common causes of TMD. Chronic teeth grinding often occurs when stress or anxiety causes patients to clench their jaw, often unconsciously. Dental damage, such as missing or misaligned teeth, can also contribute to TMD. When teeth do not line up properly, it can disrupt the force of the bite and place excess force on jaw joints. Dental erosion can have similar effects. Oral splints are a non-invasive therapy that often quickly eliminate the symptoms of TMJ disorder. The most effective treatment for TMD will depend on the cause of your condition. 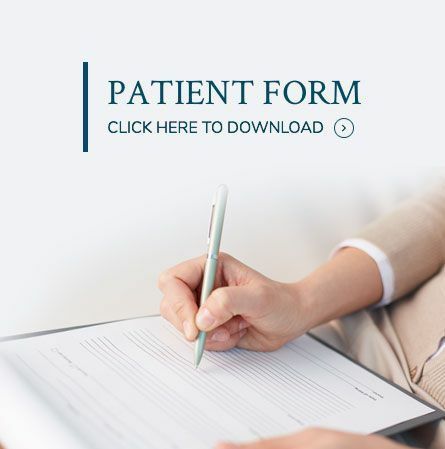 In most cases, your dentist will prescribe a custom-made oral appliance. This splint will fit over your teeth, and using gentle force, it will push the lower jaw forward slightly, reducing the pressure on the TMJs. It is simple to recalibrate oral appliances, and you should become accustomed to your device very quickly. Typically, you will only need to wear the splint at night. If needed, we can also provide a night guard to prevent you from grinding your teeth. In other cases, your dentist may recommend restorative dentistry, either by itself or in conjunction with a mouthguard. For example, if missing teeth are straining the jaw joints, a dental bridge or dental implants may be appropriate. Similarly, if dental erosion has disrupted the force of your bite, crowns can redistribute pressure across your entire dental arch. Your dentist will ensure that your restoration fits naturally and blends seamlessly with your smile. To learn more about TMJ treatment and to receive the effective care you need, contact Brown and Baran Family Dentistry today. We want to help alleviate the painful and uncomfortable symptoms of your TMJ, restoring full oral function and a high quality of life.